Are you aware that GrassTex offers a limited lifetime warranty on synthetic turf products? GrassTex, LLC, an American company doing business since 1976, stands by its synthetic grass landscape products with this LIMITED LIFETIME MANUFACTURER’S WARRANTY. 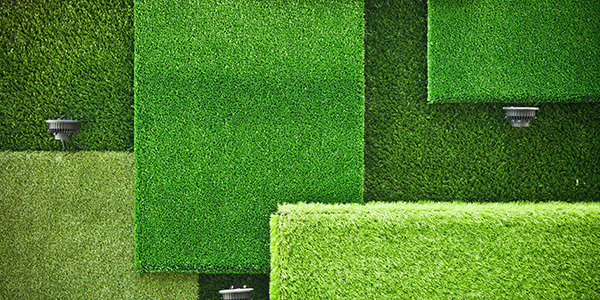 Warranty: GrassTex warrants that its synthetic grass landscape products will be free from defects in materials and workmanship resulting in significant fiber fading or degradation for the natural and useful life of the products. For the purpose of this warranty, “significant fiber fading or degradation” means a reduction in the original tensile strength of the product by more than fifty percent or a loss of more than fifty percent of the product’s original weight. This warranty is provided only to the retail dealer or installer who purchases the products directly from GrassTex, and to no other party. Remedies: For any warranty claim not excluded by the exclusions below, the remedy for such claim is for GrassTex, in its sole discretion, to either: (a) provide replacement product of equal or similar construction, style, and value, at a discount corresponding to the prorated value of the warranted product, in a volume sufficient to replace the affected product; or (b) to issue a credit, equal to the prorated value of the affected product, for the purchase of product of equal or similar construction, style, and value. The prorated value of the product is expressed in Exhibit A, which is attached to this warranty and made a part hereof. This warranty is non-transferable. GrassTex hereby disclaims all other warranties, express or implied, including warranties of merchantability and fitness for a particular purpose. GrassTex hereby also disclaims liability for incidental, consequential, or punitive damages. This document contains the entire warranty for this product. The exclusive venue for any dispute arising out of this warranty shall be the state and federal courts encompassing Dalton, Georgia.